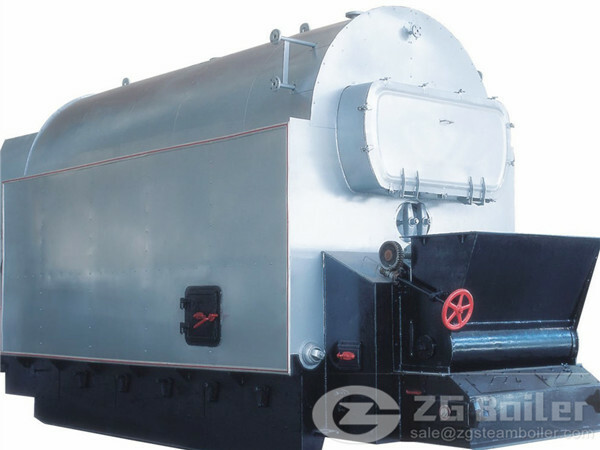 ZG provide 10t coal fired boiler for companies to production. We will supply the world best service for you. Zhengzhou Boiler Co., Ltd insists on the principle of “technology advanced, quality foremost”. Our company won the ISO 9001 certified in 1999. With over 60 years’ experience, ZG 10t coal fired boiler can do high efficiency, cheap in combustion and installation, environment protection. Coal Fired Boiler in Mongolia is our latest case in coal fired boiler and this shows that ZG coal fired boiler has great popularity in the world. With the new development trend, ZG boiler improves the boiler quality to create the latest industrial needs.Our 10t coal fired boiler has the latest technology using the character that low NOx and CO2 emission. Users will use our coal fired boiler without worrying about fear of environment pollution. The boiler has wide fuel type and it's also convenient for users to keep and lengthen the live time of boiler. ZG boiler has produced coal fired boiler for auto industry, hospital, greenhouse etc. As a big boiler manufacturer and supplier, ZG boiler always put our quality in the beginning to meet up with our clients with different boiler technology and innovation. We have pre-sale, sale, and after sale service. We likewise have training about the maintenance and installation of boiler. This is a boiler manufacturer that one could count on.If you think that 1ot coal fired boiler is not suit your company, please contract us, our professional salesman will give technical suggestions.